Mommy by day Crafter by night: My fresh start to archiving our family memories.... Plus a giveaway! 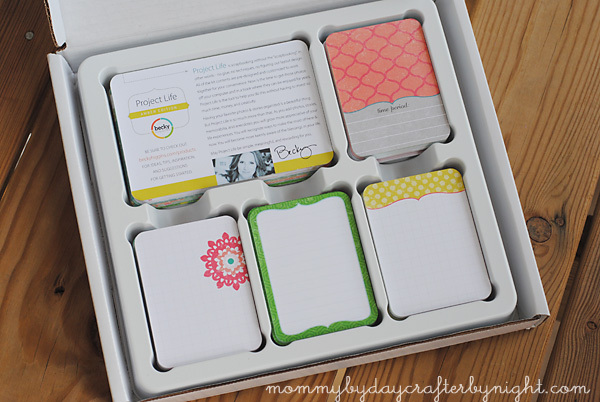 My fresh start to archiving our family memories.... Plus a giveaway! I have had a few people ask if there has ever been any regrets since starting this lovely little space that I like to call "home" in Blogland and I my answer has always been a big, fat, huge "YES!" I stopped posting on our family blog when I started this blog. Up until starting my Mommy by day- Crafter by night, I was so diligent at posting a few times per week on our family blog, with big plans to have my blog printed into books to have for our family. The guilt has eaten away at me little by little until I finally decided to do something about it. A few months ago I was telling my friend about my current situation and guilt at failing in the "recording my kids life" category. She listened to everything I had to say- excuses and all- and said "Hang on... I think I have the solution for you!" She left the room and came back a minute later holding a book/binder. She spent the next 30 minutes showing and telling me about her method of recording memories and storing family photos: PROJECT LIFE. I was amazed at how easy it seemed and started feeling an inkling of HOPE at somehow being able to get back on top of everything. I came home and started doing some of my own research on Project Life. I was so excited to find out that the woman behind the genius, was none other than THE Becky Higgins- someone who I have been a huge fan of ever since I started scrapbooking years ago. The more I read about Project Life, the more I was convinced that it was the perfect system for me and my needs. A binder, a core kit, and page protectors. No more spending hundreds of dollars on paper, stickers, glue, etc... All you need to do this is are a few things. And even better- these few things are what make up an entire year worth of memory keeping! I ended up choosing the Amber Edition. Since getting the Amber edition, my mom in law gave me the Clementine Edition for my birthday- so now I have two albums. One to work of for the current year and one to start making up for last year. Last weekend, I sat down for the very first time doing Project Life... I had 200 photos and whipped out over 4 months worth of memories in just a handful of hours. I can not tell you how awesome it felt to be able to get that much done in so little time. I used to spend countless hours perfecting one page at a time, and although it is fun looking back at all of the details and work I put into my scrapbooking, I no longer have that much spare time. So for me and my busy life, this is the perfect way for me to record memories quickly and even as memories are happening. 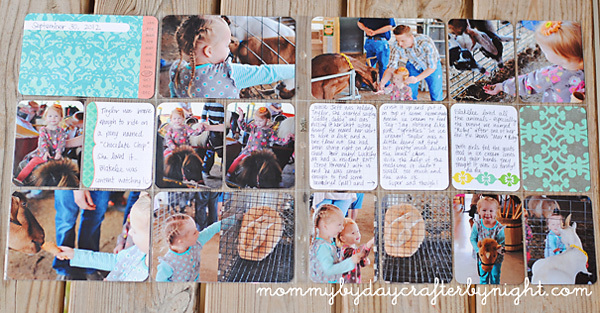 I read a post by Becky on her blog a while ago, and she mentioned that she carries around a box of 3x4 inch cards in her purse and she pulls them out and writes on them while she was out and about and then later adds them to her album... Such a great idea! I ordered some cards and plan to do the same. So many times, my kids say things and I think to myself "I will write that down when I get home" and then I get home and can not remember what in the world it was that they had said! No more excuses now! 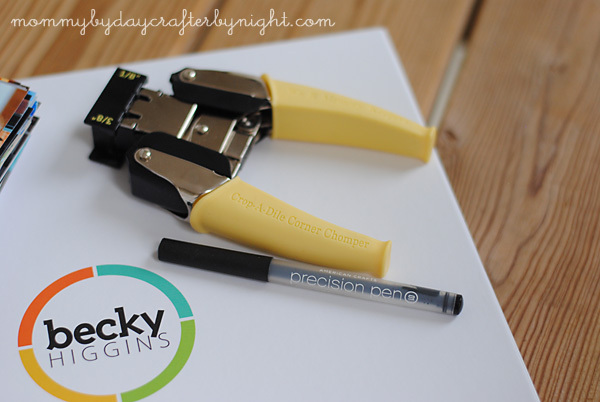 A Crop-A-Dile 3/8 corner punch (which is the same radius as the project life cards) and American Crafts Precision Pens. I just crop the corners of the pictures, put them into the book, and then write on the cards and stick them in and I am done! So easy and so fast. And although my handwriting isn't always perfect, I kinda like that extra personal touch that it is my handwriting on the cards. Recently, Becky announced some new editions editions of project life that are going to be coming out at the end of the year... There are baby editions, childhood editions, the Seafoam Edition, and brace yourselves fellow fabric lovers... Heather Bailey designed a core kit and it is called the Olive Edition... Oh my goodness! I love it! It will be released in late December... I think I may just have to buy myself a Christmas present! I can not wait to get my hands on that edition! So cute!! So for anyone out there that is passionate about keeping track of pictures and family memories- check out Project Life... It is the perfect place to start if you are wanting to start recording life's happenings, need to get caught up on past life happenings, or whatever your circumstance may be. It is so user friendly- there is no wrong or right way to Project Life. 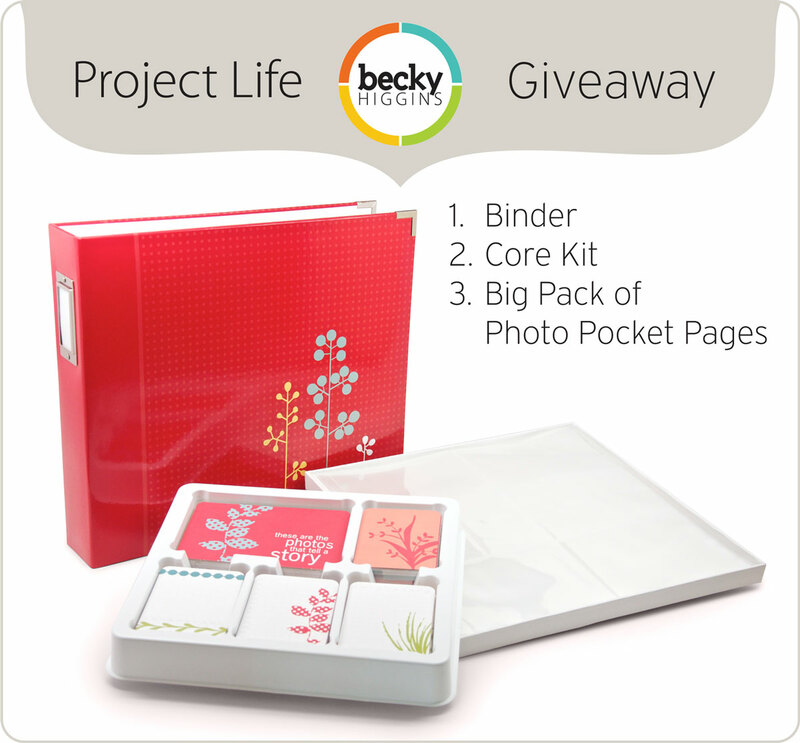 Becky Higgins is going to be giving away a Project Life Binder, the coordinating Core Kit, and a Big Pack of Design A Photo Pocket Pages to one lucky Mommy by day- Crafter by night reader!!! The winner will get to choose which edition they receive- either the Turquoise, Clementine, Cherry, Amber, or Cobalt Edition. 2. Leave one comment with your name and email so I can contact you if you win. This giveaway is open to US residents only. Winner will be selected at random via random.org & notified by email. Winner will be announced on Oct. 23, 2012. You must be 18 years or older to enter this giveaway. The chances of winning depend on the number of entries. Good luck! I am a follower on facebook:) Thanks so much for this giveaway opportunity! Ashley! This is so awesome! I don't have any scrapbooks so all the pictures from my whole life are stuffed in boxes. 21 years worth of pictures is pretty daunting. This sounds like the perfect solution! Thanks for being willing to share it with all of your readers!!! I follow with RSS. Project Life is such a great idea and I have been looking into starting it myself. It would be awesome to win and get started! I follow you via RSS! This looks amazing! Wow! That looks soo easy! Definately have to try this. I think I am about 5 years behind in my scrapbooking! ;-) Thanks for sharing! I follow via FB. Sounds awesome! I follow on Facebook. Breannabradbury@yahoo.com. Um, this is amazing! I am so far behind on my albums, it would be great to get caught up! Hi Ashley! I heard of this product from a friend too. I've been wanting to give it a try to help me organize all our pictures and memories. I follow you on facebook. Thanks for showing me how easy and fun this product is. I was just looking at all the Project Life stuff yesterday!! I am thinking it would be perfect for my 23 year old daughter. PICK ME!! I am a follower. I follow you on facebook & gfc :) I am SO behind on scrapbooking, my two year old doesn't have one.single.page. The family albums? Forget about it. This looks like a manageable system with the focus on the most important things - photos and written memories. Would love to win! This is such a cool idea! If I don't win, I put it on my Pinterest board under ideas for gifts to give myself for Christmas! I follow you via facebook and via blogger feed. I am a follower. Thanks for the opportunity to enter. Fun and useful giveaway. I would love to try this out...I am behind on my kiddos too. I don't need to win the giveaway - just wanted to drop in and say that this is awesome! Also - in a wacky coincidence - I just started PL last night! I ordered it over the weekend and am totally obsessing over it now! It is such a wonderful product! I am a joyous follower....and would LOVE to win this great prize!!!! What a great idea! I could totally do this! I follow you via GFC! This sounds like a such a great idea. I feel the same way you do about getting behind on "archiving"---it seems too overwhelming to even start up again after awhile! I think my husband and family would be happy if I started this too...less time scrapbooking, and more family time...and still lots to show for it!Keeping my fingers crossed for this giveaway, but even if I don't win, I probably won't be able to resist the Olive Edition in December! Thanks for the review! Looks like fun! I follow on FB and RSS. I am a follower. This is absolutely great! Perfect gift for my soldier to read when he comes home to catch up with our two month old! And I have for kids. nr three and four have NOTHING. so, I would be e really happy winner. Yay! I just ordered my first Project Life set a few weeks ago and would love another! What a great tool! I will definatley be looking into this system more! I appreciate your input on it! I am a new follower on your blog and FB..thanks for the great ideas. Oh my goodness! I need this! I'm a follower! I have been seeing Project Life a lot lately and would love to start organizing my photos with this system! SO much easier than digital scrapbooking. I just don't have the time anymore. Thanks for doing the giveaway! I follow via RSS. I have been scrapbooking for years but when I saw this Project Life idea a while back I thought it would help me get caught up! I would love to win! i FOLLOW YOUR BLOG AND LOVE IT !! i WOULD LOVE THIS TO DO FOR MY DAUGHTER AND GRAND DAUGHTER !! I follow both on FB and via emails sent to me. Project Life is really interesting to me and I'd love to win to check it out!!! I am a facebook and email follower. I have been seeing this concept around and am intrigued...I would LOVE to try this system out. Thank you. I am now a fan on facebook! I also just started project life and LOVE it!! What a fun giveaway! I follow you on facebook and think it would be amazing to win this! I scrapbook all my and my hubby's adventures. My fear is forgetting one day since my my mom and her mom had Alzheimer so I do this just in case I forget and he can remind me. I'm a follower!! Isn't this so great!!!! Thanks so much for the glowing endorsement of a wonderful system of preserving memories...the quick and easy way!!! I would love the turqouise edition. I love Becky Higgins and project life. I signed up to follow you on Facebook and via emails! I'm on my first PL album and would love to win a kit to use on my 2nd one! I am a new fan on facebook…thanks for the awesome giveaway! I am a follower on FB. Thanks for the great giveaway! Thanks so much for the giveaway, I would love to win Project Life! Totally loved your Project Life book. stumbled across your blog today...where have i been?! Loved your review, and the fact that you could get so much done in a short time. I have some serious time limitations, but would love to keep scrapbooking. Thanks! I am a FB follower - Project Life has changed my life forever!! I am now only 3 yrs behind instead of 6 because I have been able to do 3 years in about 6months. & like your friend amthe one to show it to my friends, they are hooked onit now too. I am a new facebook fan! Thanks for the chance! Following your blog and on Facebook! Thanks for the chance to win! I follow you on facebook. I'm so excited about this giveaway! 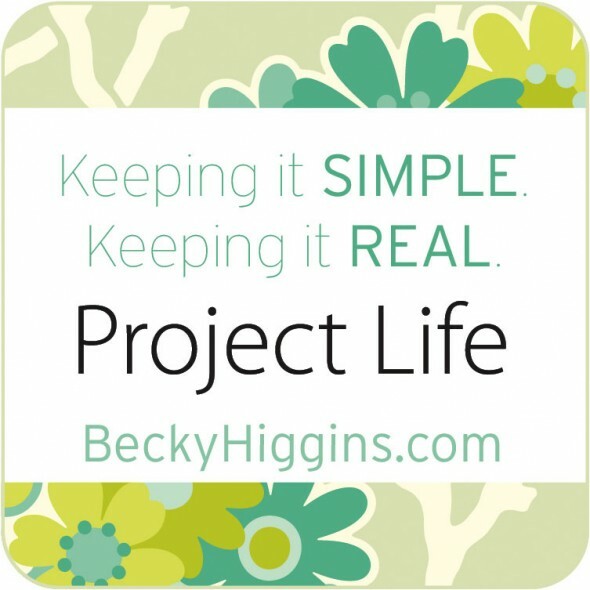 I just love Becky's "Project Life." I have been waiting forever to get my hands on one of her kits! (I stalk Amazon.com almost daily! )I would be tickled pink....lol, to win one of her kits! Thanks so much for the opportunity to win one! I followed your blog through Google Reader. Awesome giveaway! I have a few years I recently decided I want to catch up (want to do every year since my husband and I got married in 2008). I'm one of those with boxes of photos and memories that needs to get to work! Just started following you on Facebook, I look forward to sharing & learning! This is my husband's account. Thanks for the opportunity and congratulations on your accomplishment. Following via Facebook. Thanks to Becky for the post on FB which is how I found you. Thank you for a chance to win. I would follow you anywhere, anyhow to win this...love it! thanks! I love project life! I'm just getting started and it's going to be so nice to have my first one finished and a place where i can actually flip through and see the pictures instead of stored somewhere on my hard drive!! Just found your blog and I can not wait to read more about how you balance crafting and family. I follow on Facebook. love your Blog and Project Life is the greatest idea to come around. I'm a huge Project Life fan! I'm now a fan of your facebook page and will cross my fingers I win! 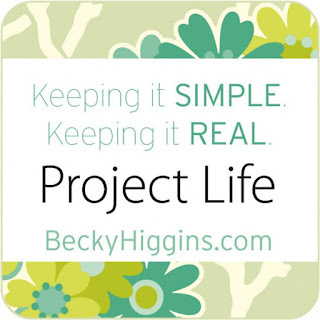 Love Becky Higgins and project life! I'm a follower! What a great giveaway, Thank you. This looks like something I could accomplish - and then I could get rid of boxes worth of scrapbooking stuff I never use! Thanks for a chance to win! This is the only type of "scrapbooking" i can ever hope to succeed at! I would love love love to win! Great giveaway! 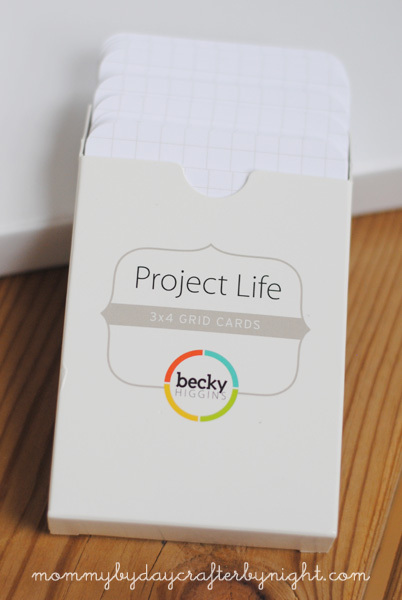 I've been reading about Project Life for awhile now but haven't tried it yet. I would love to win because this might be the answer to all my unscrapbooked photos! I follow you on Facebook. I"m a follower on FB. I'd LOVE to win this. I've been debating on whether this is something I'd like, but the more I read, the more I"m convinced I'd like it. What better way to find out than to win this! I am a new subscriber to your blog via Google Reader. I like'd you on facebook! Thanks for the awesome giveaway! I also liked your page on Facebook. What an inspiring post! I've wondered if Project Life was for me, and after hearing about your experience, I'm convinced this is the time saver I've been searching for! I am a follower on Google Reader, I have 20 grandchildren; I could use all the albums I can possible find! I'm a follower, what a great giveaway! I love that you got that much finished so quickly - it inspires me! I follow you through my Google Reader. What a great giveaway! I love project life! I followed you on FB! I'm a facebook follower now- thanks Becky! Great giveaway. I subscribed via google reader. I love PL! Thanks for the giveaway. Thanks for the chance to win. I need to win this, I need the inspirations!!! Wow...that is impressive. Perhaps there is hope for me getting caught up one day. What a great giveaway!! Nice work getting caught up! I just started PL and am really enjoying the freedom in it! Would love to win some supplies for next year's album! I follow on FB- just started PL and LOVING it! Thanks for the chance!! I follow via RSS. I have so much to catch up on. Project Life rocks! Oh My gosh...I am so excited about this giveaway. Everything you've said about how your crafting blog was hindering your personal family blog posting and the guilt from not documenting your life...is exactly how I feel this very minute. This giveaway is just what I need to start documenting my life. I would love to win a kit. I'm doing Becky's project real lfe and a real kit would be AWESOME!!! I follow on facebook and email. My email is dyoung27@woh.rr.com. Thanks for sharing your experience. I love Becky Higgins and Project Life! I follow by Facebook and my email is kissingthejoy at gmail Thanks! I would love this. I am only about 25 years behind. My grown kids have decided they prefer looking at pictures in this album as opposed to scrapped pages. Camille Schaeffer, cschae24atcomcastdotnet. I would love this I am behind I am now 4 years behind but I am not gonna let that scare me away I know I can get caught up at least to currents. This would be great thanks for the chance. I would love to try Project Life to document my 2013 so thanks for this awesome giveaway!! I just became your fan in facebook and I'm following your blog via email!! Thank you for sharing about your Project Life experience. I hope to get started soon! I started following you on Facebook. I've been trying to decide if I should do what you did and go back and project life the past, start now , or start at the new year, can't decide! I, too have fallen behind and would really benefit from this! I love Project Life!! Congrats on getting so much archived so quickly...I am all too familiar with the guilt that comes with being behind. I can only hope to be successful in implementing my picture as you have in such a short time...it would all begin with the giveaway! Thanks for helping in my quest! I would love to try the project life! I am so behind and with medical issues that make it difficult to document our family's life. How exciting for you! I always feel so accomplished when I just get a double page spread completed... 200 picutres - WOW!! I read your blog... would love to win! Been wanting to try out Project Life seems like forever. Thanks for the chance to win. Kim Buckosh, sbuckosh@gmail.com. I love to have Project Life!!! Thanks for the chance of winning!!!! I'd love to win this!!! I follow you on FB as well as e-mail! Love getting your updates! My name is Paula and I can be reached at bkjprj@hotmail.com. Thank you! This system is so awesome! I follow you on Facebook and The blog! I just discovered Project Life myself earlier this year and I would love to win!! Thanks for the opportunity! I follow you on Facebook. Perfect giveaway! What an amazing giveaway! Thanks for a chance to win! I subscribed by email. Missy Brown - exchangeday@gmail.com. I love your story. I am taking Becky Higgins class on Big Picture Classes right now and am loving it so far. She is pretty incredible! I would love to win that. I scrapbook for 7. I would love, LOVE that Clementine edition! I just found your blog and LOVE it! I think it is great that you are doing a giveaway. I am following you via e-mail and FB. Thanks for the chance to win! I would love to win the Cobalt set! I'm planning to start Project Life in January...thanks for the chance to win! I would LOVE to finally get a handle on the 1,000's of photos I have taken over the 15yrs of our daughters life. Thank you for the chance to get it all under control. So exciting! I'm a facebook follower! Thank you! Ummm, this would be incredible to win!! Thank you! I just signed up through email to follow your blog...too fun to think I may have a chance to win a Project Life kit! Thank you so much!!! I follow in Google Reader. I love your quilt series. I'm just jumping on the PL bandwagon and would love to win a kit! I now follow you in Google Reader. I follow and this would be awesome seeing that my oldest is turning 5 and I still have not completed any of her scrapbooks and now I have 3 kiddos! I am following by email and on facebook. I am new to project life and am very excited to see that you got so many pictures into books and journaled. It is a very overwhelming task and I have a room full of paper and embellishments and I am frozen. I know not where to start. So I found Project Life and am taking Becky's Real Life class. So excited to finally get all these simple pictures into books and journal the story for my kids. My kids are 28 and almost 31 so I have a lot of catching up to do. And a lot of pictures to get into books. I sure could use the give away to help get this done. Thanks for the offer. My name is Debbie White and my email is dawhite52@gmail.com. I have grand plans to catch up on the past year soon too. :) So happy you found Project Life! I need a boost and you've inspired me! I have been a follower for a while now. I love your blog and always feel so inspired when I leave. I could really use this, I to am behind do to all the commitment I have. Thanks for the giveaway. This might just help me get back on track. oh wow, i'd love to win! i subscribe in my google reader! i am a follower and I'd love to win this! I am like you - way far behind on scrapbooking and not likely to catch up! I follow via email. Thank you much for this awesome giveaway! Love PL! I'm a follower by email. I would love love love to win this. I'm way behind (read: years) on my memory-keeping, and the guilt is immense. I would love the PL kit! I follow and Love your blog. I would love to win this. hello my name is Rebekah. Ive been meaning to create a project life binder with all the childhood pictures for my parents so that they could have their pictures organized and actually be able to enjoy them. this would really help a lot. Thank you for this chance! my email is rebekahjhlee@gmail.com. Hi My name is Gwen and I follow your blog. This project is a fantastic idea. Hooray for Project Life giveaways. Love this idea!!! I am a follower! I follow via email! What an exciting & wonderful giveaway!! I decided to do project life next year. I'm so excited for the olive kit! I follow you via google reader! I'm working on my first PL binder for this year. It's so fun - and much easier than traditional scrapbooking. Oh this would be perfect for us!! With 5 kids keeping up with scrapbooks is an unattainable task! My first has and entire year's worth, plus some, my second about half that, my 3rd a few months and NOTHING for my 4th and 5th!! Ugh, I'm terrible!! I liked you on Facebook and am following you with my RSS reader. Would love to win the kit! Have all the different page protectors but have yet to invest in a core kit, so it would be awesome to win this! This looks awesome! (said the mom with a box full of scrapbooking stuff and an unfinished book sitting under my desk.) Thank you for this giveaway!